What’s Next? It’s a question that I ask myself dozens of times throughout any given day. You see, I have an addiction. An addiction to progress. In my mind everything on my To Do List (or To Become List) that is not yet complete is that way for one of two reasons. I have yet to do my part, or I am waiting on someone else to do theirs. There is likely good reason that the next milestone toward project completion has not been met and it is through the identification of the next action and the barriers to taking it, if any, that we identify the true status. For each priority, it’s important to identify the most recent action we took, the next action we will take, and the actions we might be waiting on others to take before we can do our part. That logic will look very familiar to others who subscribe to David Allen’s, Getting Things Done framework. 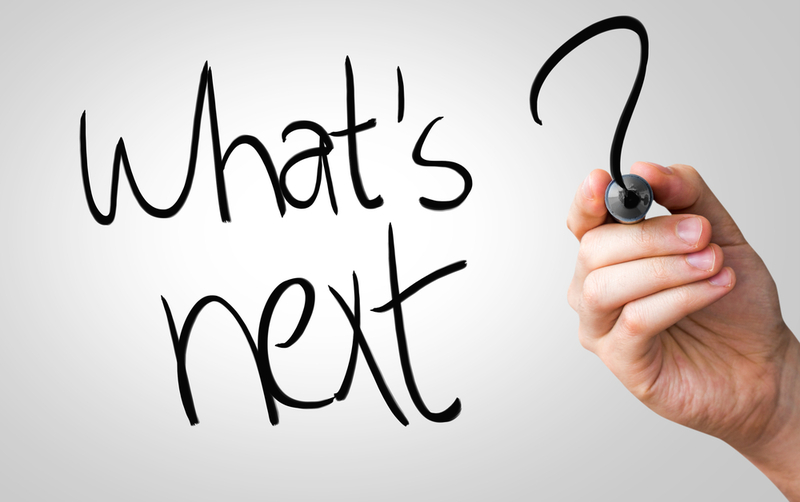 Of late and far more than normal, I have been on the receiving end of the What’s Next? question. Those of us in the military are conditioned to the cycle. As we enter the window of opportunity that begins roughly one year before our projected rotation date, teammates begin to ask us about the next adventure that follows the current one. And whether we wear a uniform or not, those of us with a growth mindset ask ourselves and others that very question periodically. There is no right or wrong answer to such a question, the important thing is to have one. Those who don’t have at least a vague answer to the question are the ones I worry about. And staying put is not a bad answer, provided the rationale is that we love the work, we enjoy our teammates, and we continue to grow as we execute our responsibilities. I worry about those who don’t have an answer because odds are they are all too comfortable managing the status quo, complacent in their personal development, and preventing others from challenging themselves to reach their potential. I am of the mind that if we aren’t thinking at least a little bit about What’s Next?, we aren’t truly engaged in the adventure. There are very few true growth opportunities for me in uniform. That’s not to say that there aren’t an abundance of jobs that would stretch me, but that they wouldn’t allow me to grow in the ways that I am most interested. With almost 25 years of naval service, I ponder this question for the first time ever realizing that the answer could very well take me into the civilian world as I contemplate retirement. The assignments in uniform that truly energize me are ones that have yet to be assigned to a member of my specialty field and would require senior leaders to break glass by assigning me. As I zoom out a bit, the answer to What’s Next? is really no different than it has been over the years. What’s Next? is no different than What’s Now?. The opportunity to grow as a leader, to contribute in meaningful ways, and to have a heck of a lot of fun in the process…that’s What’s Next? and that’s What’s Now?. As I continue to focus on progress across and beyond the team with whom I currently lead and my own personal development, I’d be lying if I told you I was comfortable with my answer. I know that sometime within the next 10 months I will be asked to leave this team, for it is the nature of military life. And as addicted to progress as I am, I am also obsessive about planning and preparing. I know I will be ready for What’s Next? and I’m excited to find out exactly Where I will be writing the next chapter in this amazing adventure. Will you be ready for What’s Next? ?